Andrey and I intended to climb the Schwarzhoren ob Grindelwald (2928m). We started a bit later than planned and couldn't park as close to the mountain as we wanted. Leaving the parked car at dawn we made good progress on frozen trails. There is still very little snow in the mountains and we also picked a Southerly approach. 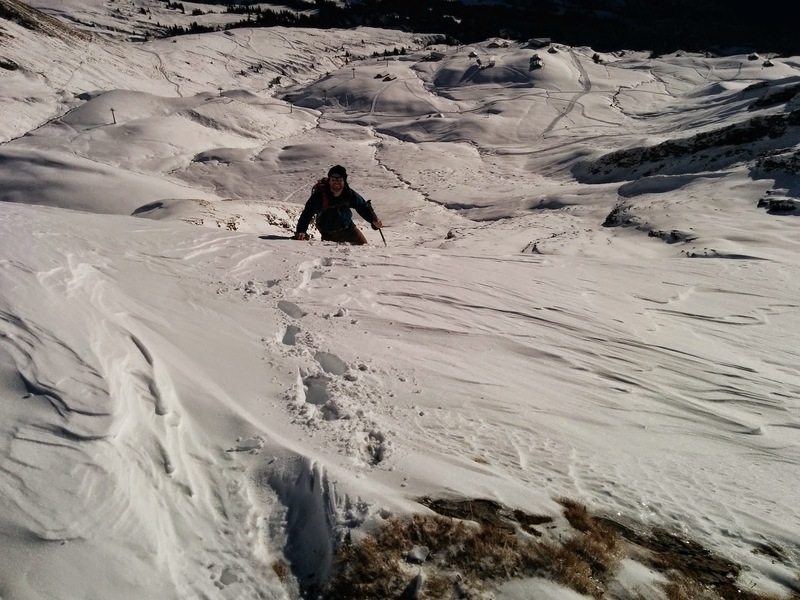 Still, by the time we reached the Schreckfeld at 2000 meters altitude we were digging our way through snow. This is a ski area and usually quite busy. Not on this day though. The snow is still not good enough for skiing and most lifts aren't running yet. Perfect for us. Unfortunately it became more and more obvious that we wouldn't reach our objective in time. We estimated at least three more hours to the summit which would leave us only little more than an hour of day light for the return. 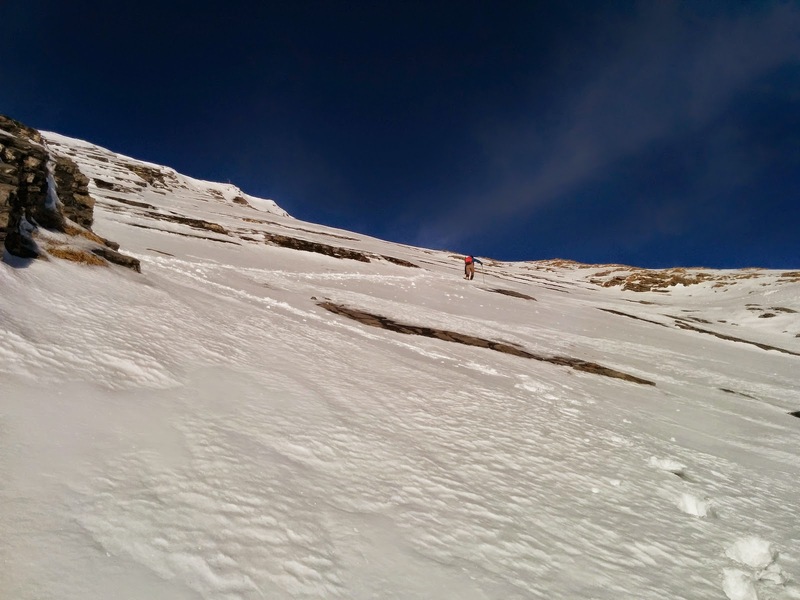 Maybe we shouldn't have picked the shortest day of the year for a 2000m ascent ;-) It was also getting dangerously warm, increasing the risk for avalanches. So we decided to scramble up the Schynenblatten instead. These are steep slopes (35° - 40°) connecting two ski areas. 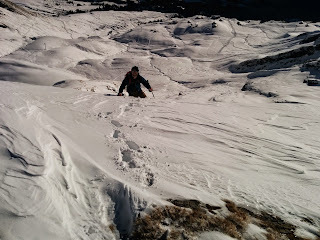 Turned out to be a lot of fun and provided a feeling of "mountaineering light". 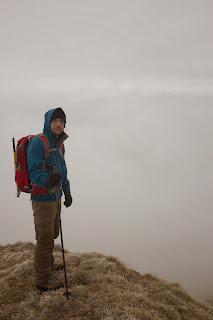 We arrived back at the car at sundown, proving we had made the right call not to go for the summit. Our objective is the peak on the left. Eiger North Face. This is where legends are born. Me scrambling over the final cornice. The delta in air pressure is enough to inflate the packaging. Anita and I flew to Nuremberg for a weekend. This may be a trivially obvious observation for other people, but only after we went shopping for a new purse for Anita did I notice that handbags seem to be absolutely indispensable accessoires for the modern woman. One hundred percent of the female variety of the human species in the crowded city was carrying one. Who knew?! Nice city. Cities that haven't been completely flattened in WWII or have just been built recently (North America) have a special flair to them. Nuremberg has a fully intact medieval fortification wall. As a consequence the entire heart of the city is mostly free of cars and very pedestrian friendly in any case. A fountain depicting the cycle of a relationship. This is her killing him. Nuremberg is famous for its nativity plays. It was a bit crowded. They cheated me - no chocolate on the underside! Awesome stair case. Behold the ingenious engineering with the beams going only half way. Albrecht Dürer house. The art was only mildly interesting. But a medieval household and the craft of mixing colors and printing replicas was fascinating. Early morning in an alien world. A minor obstacle in our way. We found our own way traversing directly underneath the cliff. By avoiding the actual trail for a while we saved a few meters in elevation. The Jöchli is the peak barely visible to the right. 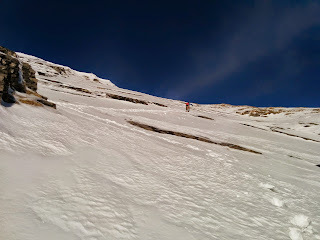 We would have had to traverse the snow and then scramble up the steep face to get there. We decided to pass. Ben making his way from the minor summit to the actual highest point of the Schafberg. Supposedly this mountain offers great vistas.